In June 1838 a large canoe provided by Taufa’ahau of Ha’apai, the future king of all Tonga, brought to Lakeba six more teachers to serve the Fiji mission: Joeli Pulu (spelt Bulu in Fijian), Sailosi Fa’one, Siuliasi Naulivou, Uesile Langi, Selemaia Latu and Semisi Havea. Guided by Cargill, they acquired the dialect of Lau. Long succession of Tongan missionaries: Their names, renowned in the annals of Fiji, indicate at this early stage the importance of a long succession of Tongan missionaries who used their country’s many contacts in Fiji to introduce their faith. 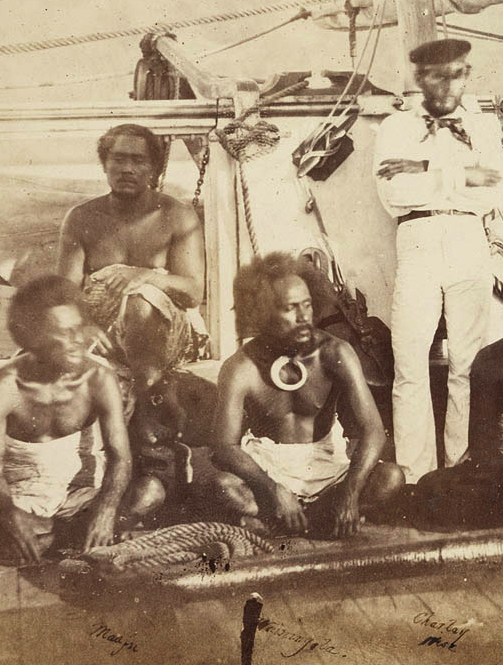 By the time these Tongans arrived Gross had gone on ahead to Bau and Rewa, following Josua Mateinaniu’s track. Peter Dillon , the Irish Roman Catholic mariner, transported him, at a price, to Bau. Unfortunately Tanoa, the highest chief, was found to be not at home. Gross met his son, Seru, the future Cakobau. Young, wild in his appearance, very much incontrol of the interview, he told Gross he could stay if he wished on Bau, but that his safety was not guaranteed. Gross, with prudence but limited foresight, decided to go on and try Tui Dreketi, the highest chief of nearby Rewa on the Viti Levu mainland, who was at that time allied with Bau. Cakobau not impressed with Gross: There he was offered the protection he sought and decided to settle. The meeting between Gross and Cakobau retarded Wesleyan advance in Fiji. Gross, small of stature and sensitive, was no chief. In Fiji men were measured by their physical presence and airof authority. John Hunt, who later earned Cakobau’s respect, once observed that one of the pre-Christian high chiefs at Rewa feared Hunt as a likely spiritual competitor because Hunt, unlike Cross, was tall. Cakobau, always eager to appropriate white men of any kind for his ownadvantage, was also piqued because Gross went to Rewa instead of residing on Bau.